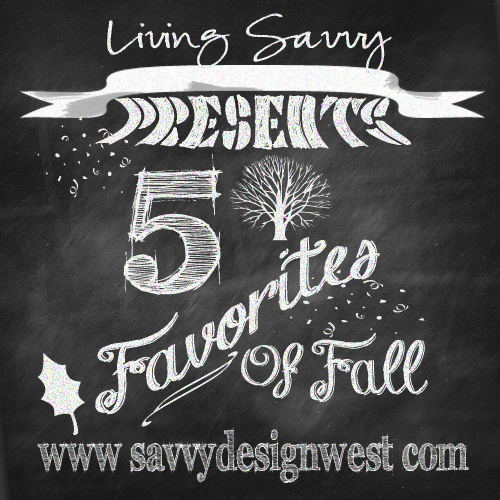 Be sure to stop on over to Living Savvy for a visit, and see my fabulous fall favorites. After working with my Annie Sloan Chalk Paint this week, I could have added her chalk paint to my favorites list! I am sold on chalk paint! It covered wonderfully, and without any prep at all. No sanding, no stripping, no problem! After distressing with a fine grit sanding block, I applied a coat of the ASCP Clear Wax to seal the paint. It now has a smooth and subtle sheen…I love it! Love the little side table! Great job. Can't wait to see that dresser transformed. I love that color - and those bowls are perfect! Love it! Looks great! I have never tried chalk paint either.